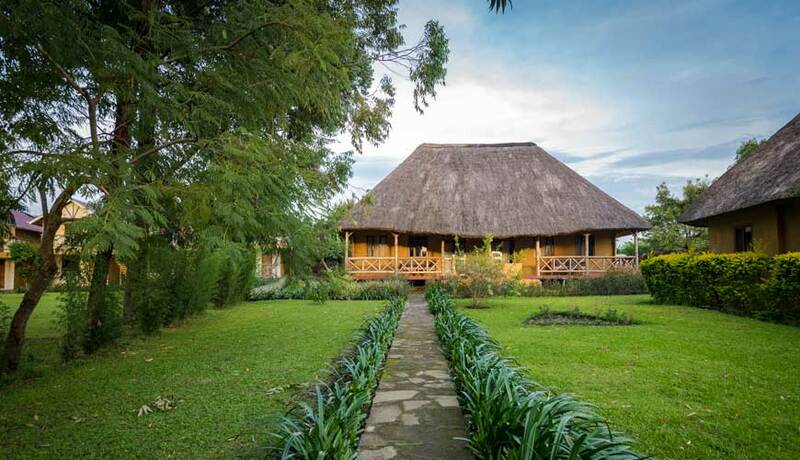 Stay in your choice of 10 deluxe thatched chalets with expansive wooden balconies, or 11 pool facing standard cabana rooms, all of which have full or partial lake views. Guests have the choice of staying in deluxe thatched chalets with expansive wooden balconies, or pool facing standard cabana rooms. 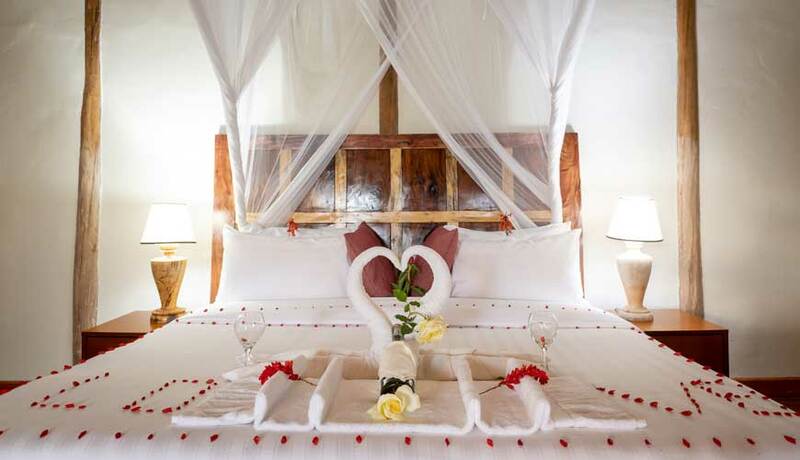 Rooms, whether deluxe or standard, provide the perfect luxurious jungle escape. 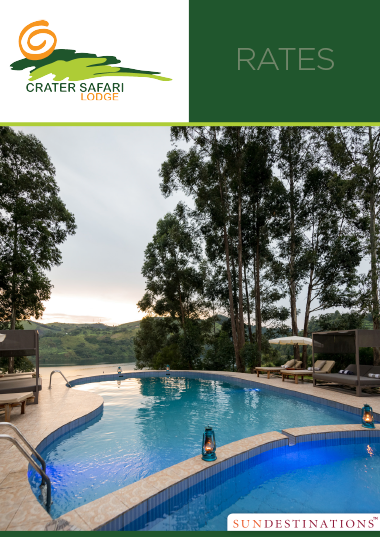 All accommodation has partial or full views of the tranquil crater lake and its pristine surrounds. 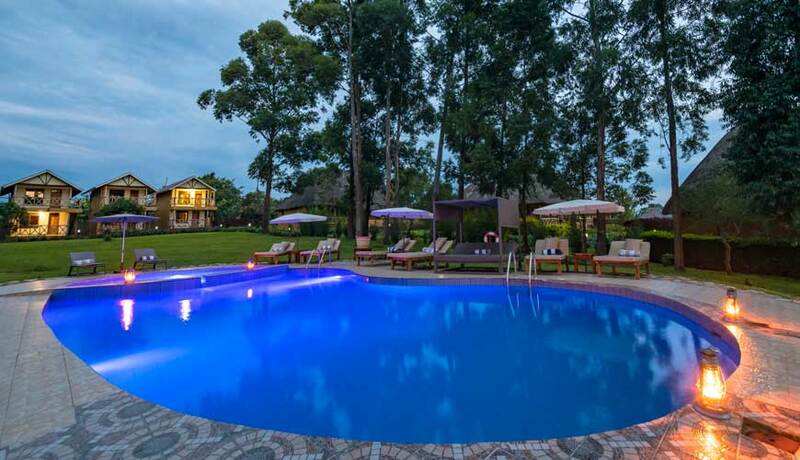 The cabanas have views of the lawns, the pool and extend over the crater lake. There are 10 of these standard cabanas, and rooms are on two levels (self-contained units on the ground floor and first floor). 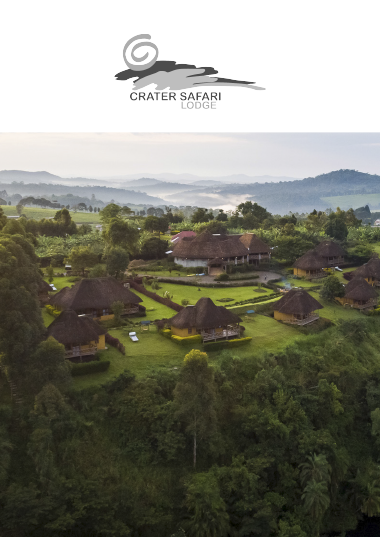 The 11 stand-alone thatched chalets are either garden or crater facing, and there's even the choice of family or honeymoon chalet. The chalet’s timber balconies either have chairs or couches, and 3 of them have hammocks. All rooms, including the standard cabanas, have some sort of lounge and relaxation area. 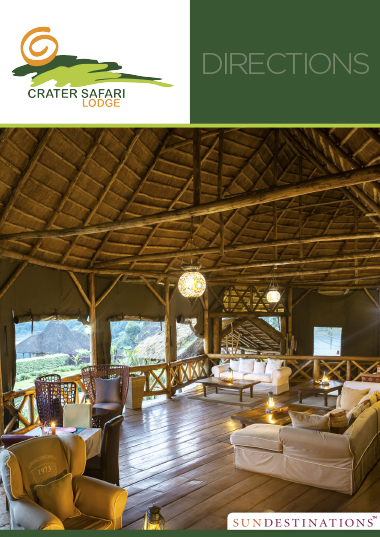 Accommodation is completely unobtrusive and offers a sense of luxury amidst the wild and magnificent surrounds. 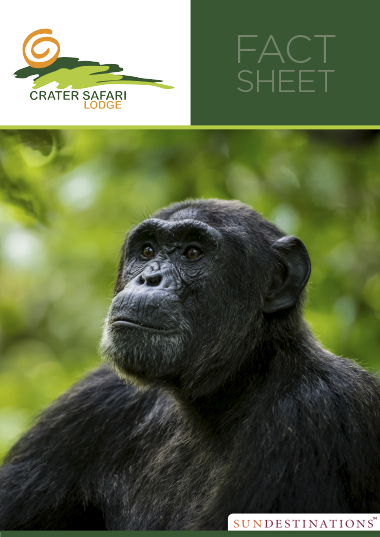 Rooms have : mosquito nets, wardrobe, clothes rack, shower, bathrobe, free toiletries, toilet, bathroom, bath or shower, outdoor furniture, outdoor dining area, towels, linen, and bedside tables with lamps.